During 2013, Longyear took the first steps to restore the look and feel of the house Mrs. Eddy would have known. Museum staff worked with The Mary Baker Eddy Library and The Digital Ark, a digital archiving and media development company in Providence, Rhode Island, to make full-size, archival giclée reproductions of selected artwork and framed documents that hung on the walls at Chestnut Hill. The originals remain in the Library’s collection. Frames were chosen to closely approximate the actual frames. To date, nine of these reproductions have been installed in the house, where they add meaning to visitors’ tours. 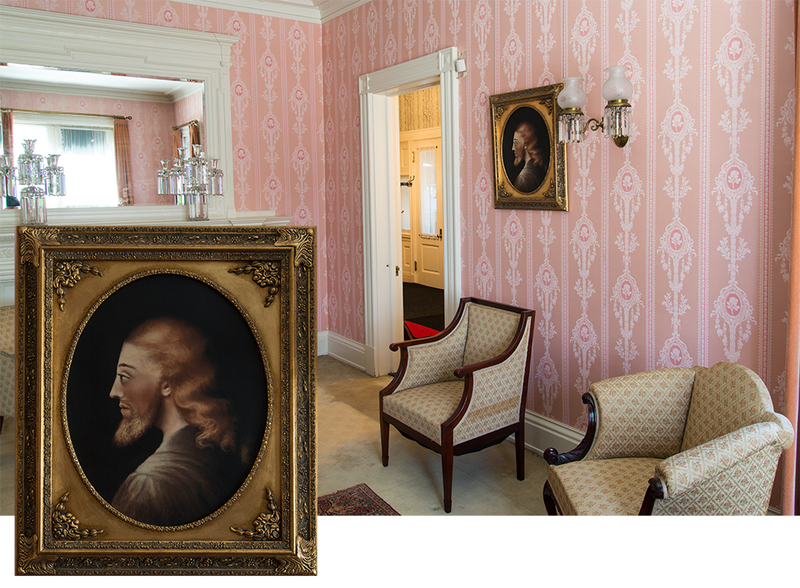 This article presents several of the works that once again, in replica, grace the walls of the home of the Discoverer, Founder, and Leader of Christian Science. Miss Bartlett owned a treasured picture of Jesus, believed at the time to be copied from an authentic portrait carved in the first century A.D.5 Based on that image, she had this painting made as a gift for her Leader. It had just been framed when, in 1885, Rev. Joseph Cook voiced a bitter attack on Christian Science at Boston’s massive Tremont Temple. Mrs. Eddy protested, and at his weekly lecture the coming Monday he reluctantly allowed her to respond. 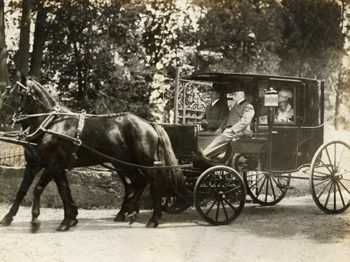 At the appointed time, Miss Bartlett rode with her in the carriage across town to the church. Mrs. Eddy was greeted coldly by Rev. Cook, endured insulting remarks, and was allotted just ten minutes to address a mostly hostile audience. It was an ordeal. A reproduction hangs where Mrs. Eddy’s original once hung in the first-floor parlor. Mary A. Batchelder, Head of Christ, 1885, oil on canvas, 32 x 26 inches. Giclée reproduction made from a photo by Mark Thayer © The Mary Baker Eddy Library, Boston, Massachusetts. Used with permission. 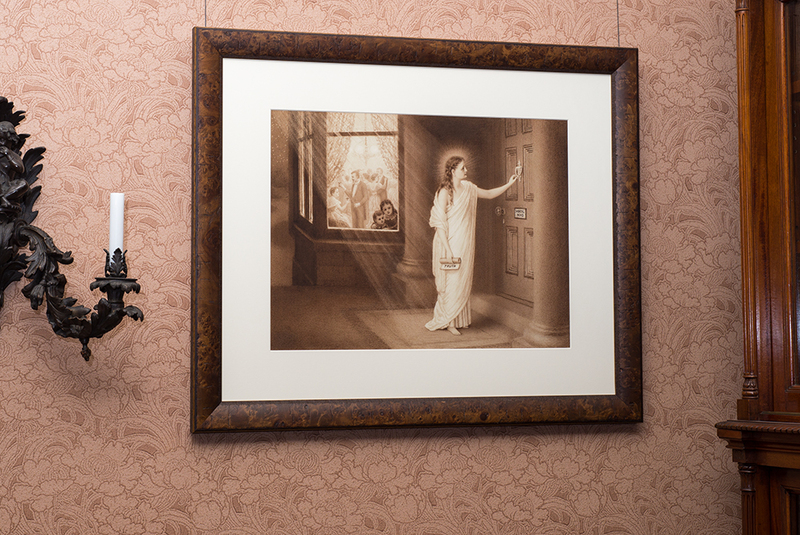 At Pleasant View, Mrs. Eddy had a depiction of the prophet Daniel that spoke to her of her own experience. On the wall of her library was an engraving of the well-known painting by Briton Rivière titled Daniel’s Answer to the King. In it, Daniel faces away from the lions to announce to the king, “My God hath sent his angel, and hath shut the lions’ mouths, that they have not hurt me.”7 Indeed, the lions’ mouths are closed as they circle, cowed and constrained, behind him. 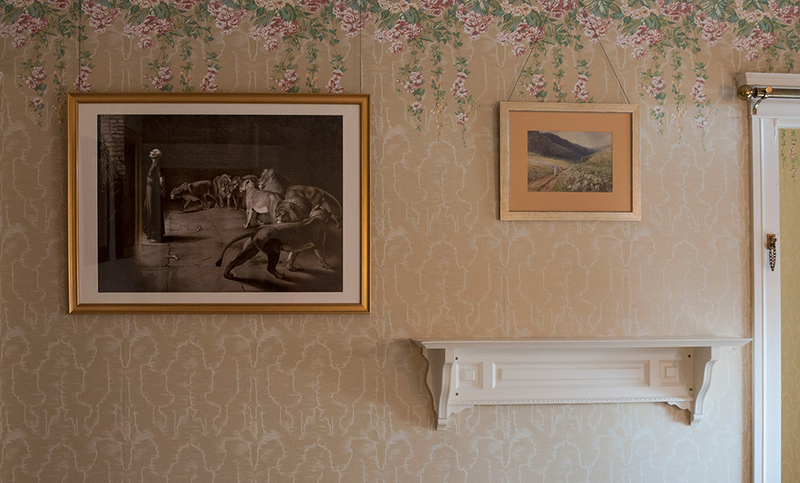 Two reproductions on the wall of Mrs. Eddy’s bedroom, in the places where originals once were. Above, left: Briton Rivière, Daniel’s Answer to the King, 1890, originally oil on canvas, 48.75 x 35.5 inches. Rivière (1840-1920) was a widely reproduced British painter who specialized in animal and historical subjects. 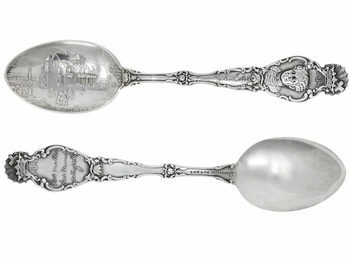 The piece given to Mrs. Eddy was engraved by Joseph Bishop Pratt. Above, right: C. H. Cox, Austrian Tyrol, 1896,watercolor, 22.25 x 18.75 inches. Giclée reproduction made from a photo by Mark Thayer © The Mary Baker Eddy Library, Boston, Massachusetts. Used with permission. 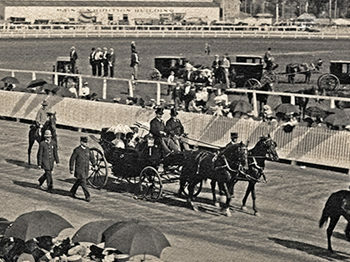 In that spirit, she met the challenges of 1907 — her last year at Pleasant View — when clergymen, writers, and the medical establishment joined in attacking Christian Science and its Leader. Elements in the press were spreading the lie that Mrs. Eddy was sick, dying, or dead. And family members were trying to take control of her assets in a trumped-up lawsuit, known as the Next Friends Suit.12 After months of strenuous metaphysical work by Mrs. Eddy and her household, the lawsuit collapsed. By autumn, Mrs. Eddy was able to resume planning her move back to Boston, but her metaphysical workers continued to address the ill will still rumbling in the air. 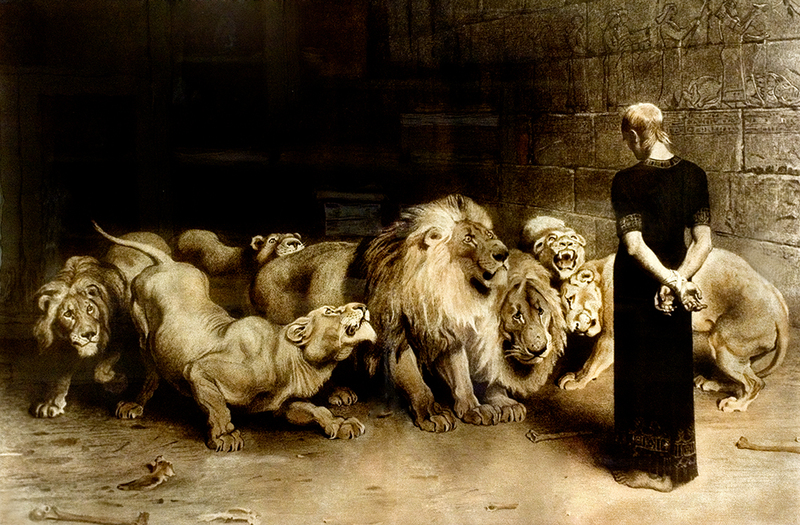 Briton Rivière, Daniel in the Lions’ Den, 1872, originally oil on canvas. Tomlinson’s copy was an engraving based on Rivière’s original. A reproduction of an illustration from Christ and Christmas is on the wall of the first-floor library. James Gilman, Truth versus Error, 1893, primarily charcoal and wash, 30 x 36 inches. Giclée reproduction made from a photo by Mark Thayer © The Mary Baker Eddy Library, Boston, Massachusetts. Used with permission. The finished work, titled Revelation, stands an imposing six and a half feet tall. In 1901, Mrs. Swope had it mounted in a custom-made dark frame, then sent it to Pleasant View as an Easter gift for Mrs. Eddy. Her instructions placed it high on the wall; she wrote, “The horizon of the picture should be on a line with the eye — which greatly ennobles the figure.”24 the picture’s location in the Pleasant View parlor did not quite realize her intention, but at Chestnut Hill it was placed at the top of the stairs, thus fulfilling the artist’s vision. 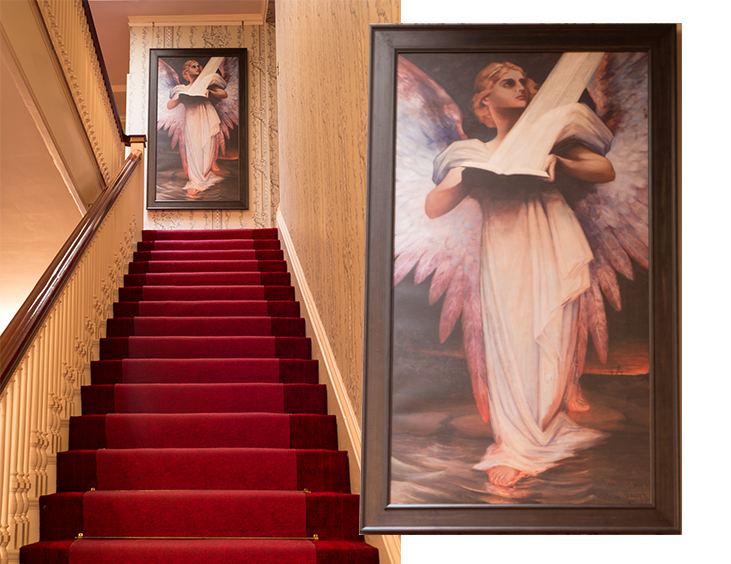 On the second-floor landing, a reproduction hangs where Mrs. Eddy’s original painting once hung. Katharine Swope, Revelation, 1900, oil on canvas, 78 x 46 inches. Giclée reproduction made from a photo by Mark Thayer © The Mary Baker Eddy Library, Boston, Massachusetts. Used with permission. 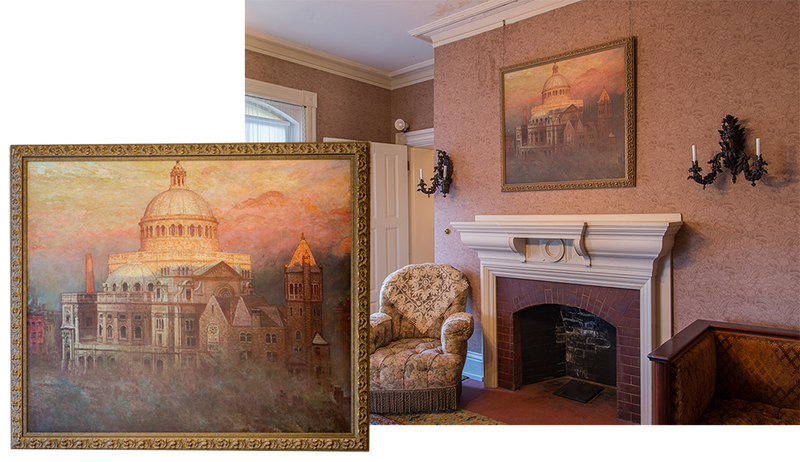 In October 1906, aft er completion of the Mother Church Extension, Mary Baker Eddy asked the Christian Science Board of Directors to commission a painting of the church for her home. They engaged John J. Enneking, a distinguished Boston Impressionist. 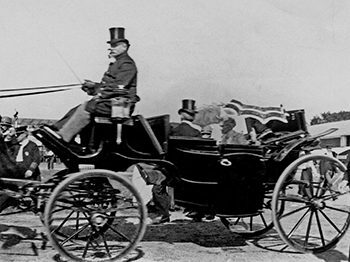 Mrs. Eddy would view the great stone edifice in Boston only once, from the window of her carriage. But in the artist’s symbolic concept her church could be seen, having endured a night of storms, standing firm in dawn’s early light. Above the fireplace in the first-floor library, a reproduction hangs where the original painting once hung. John J. Enneking, The Dawn, 1907, oil on canvas, 42 x 49 inches. Giclée reproduction made from a photo by Mark Thayer © The Mary Baker Eddy Library, Boston, Massachusetts. Used with permission. For more information, see Stephen R. Howard, Homeward, Part II: Chestnut Hill (Chestnut Hill, MA: Longyear Museum Press, 2007), 15-19, available here. Adam H. Dickey, Memoirs of Mary Baker Eddy (Brookline, MA: Lillian S. Dickey, 1927), 65, 62. Mary A. Batchelder was a student of Mary Baker Eddy in 1885 (Primary class) and in 1886 (Normal class). The 1884 class was Mrs. Eddy’s first Normal class to train Christian Science teachers. 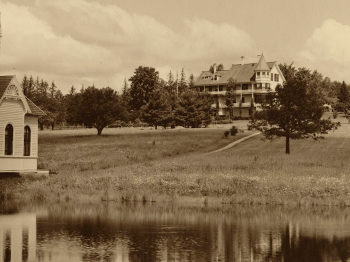 Julia Bartlett had studied with Mrs. Eddy in 1880 in Lynn, and she immediately launched into her healing practice at home in Connecticut. Mrs. Eddy asked her to come to Boston to help establish Christian Science there. 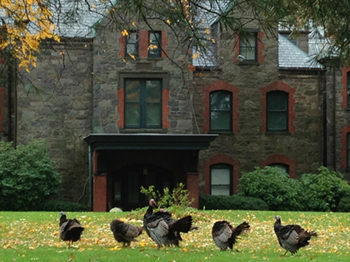 In 1882, when the Eddys left Lynn, Mrs. Eddy selected Miss Bartlett to oversee the fledgling church during her absence. 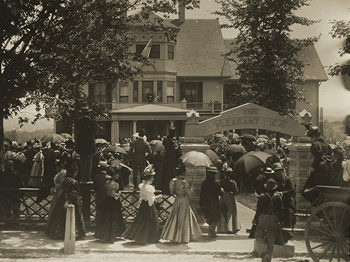 At the time, Miss Bartlett was treating some thirty patients a day. 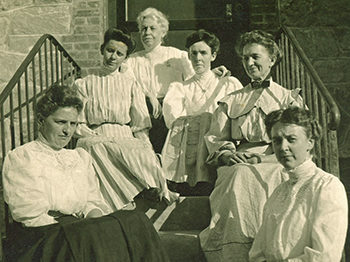 In 1892, she would be one of twelve trusted students appointed by Mrs. Eddy to anchor the reorganization of The First Church of Christ, Scientist, in Boston. Julia Bartlett’s portrait of Jesus was a copy of a popular depiction, which is supposedly based on an authentic likeness carved in emerald by order of Tiberius Caesar. This particular claim has been made for several centuries, but is almost universally discounted today. For a similar depiction, see John Sartain’s 1866 engraving Our Savior. Julia Bartlett, ”A Worker in the Massachusetts Metaphysical College,” in We Knew Mary Baker Eddy, expanded ed., vol. 1 (Boston: The Christian Science Publishing Society, 2011), 76- 79. Dickey, Memoirs of Mary Baker Eddy, 138. Mary Baker Eddy to Julia Field-King, July 6, 1895, Longyear Museum collection, Longyear Museum, Chestnut Hill, Massachusetts (hereafter referenced as LMC). Emma Easton Newman, “Our Leader in Retrospect,” The Christian Science Journal 54 (July 1936): 195. Severin E. Simonsen, From the Methodist Pulpit into Christian Science (Sherman Oakes, CA: I. P. Simonsen, 1928), 157. For more about the Next Friends Suit, see Robert Peel, Mary Baker Eddy: Years of Authority (New York: Holt, Rinehart and Winston, 1977), chap. 8, available here. 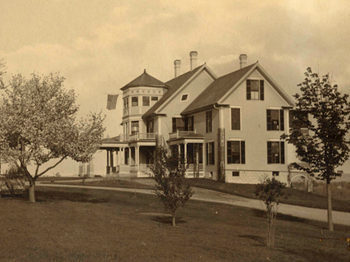 Irving C. Tomlinson lived in Concord, New Hampshire, and served Mrs. Eddy in various ways, including a brief stay at Pleasant View as associate secretary during part of the Next Friends Suit. He also served as First Reader of First Church of Christ, Scientist, Concord, New Hampshire. Irving C. Tomlinson, “Mary Baker Eddy: The Woman and Revelator,” (unpublished reminiscence, 1932), 745-746, in LMC. Mary Baker Eddy, Science and Health with Key to the Scriptures (Boston: The Christian Science Publishing Society), 514. Mary Baker Eddy, Christ and Christmas (Boston: The Christian Science Publishing Society), stanza 14. James F. Gilman, Recollections of Mary Baker Eddy (Rumford, RI: Gilbert C. Carpenter, Jr., 1935), 49. Painting a Poem: Mary Baker Eddy and James F. Gilman Illustrate Christ and Christmas (Boston: The Christian Science Publishing Society, 1998), 95- 96. Katharine F. Swope, letters to Mary Baker Eddy and Clara Shannon, circa 1899-1901, ©The Mary Baker Eddy Collection, The Mary Baker Eddy Library, Boston, Massachusetts. William Lyman Johnson’s unpublished materials, 1927, LMC. “Letters to our Leader,” Christian Science Sentinel 10 (May 16, 1908): 732. Webster Lithgow is the Multimedia Producer/Director at Longyear Museum. He has written and directed five Longyear Museum films, as well as authored several feature articles for previous Reports to Members. Longyear intern Benjamin Frederick contributed to this article. This article was originally published in the 2014 Spring/Summer Report to Members.